I’m so happy that I found this restaurant while having the title as researcher (thanks mom). I spent hours browsing through twitter, online magazines and websites before hand to London and mapped out the various Hawksmoor locations around/ in London. And I’m glad to say that I don’t regret time spent towards finding the perfect restaurant to have Sunday roast. 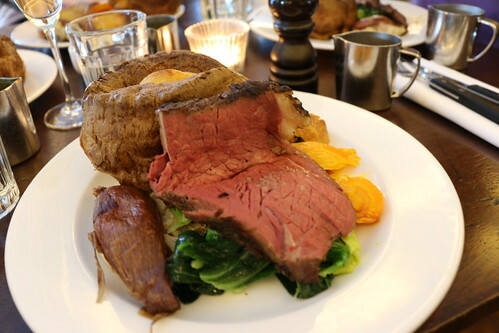 Ever since I’ve been obsessed with English/ British things (about two years), I’ve being dying to have Sunday roast. I was not disappointed at all. Nevermind walking into the restaurant with causal clothes on and a backpack on my shoulders, I was greeted with politeness. 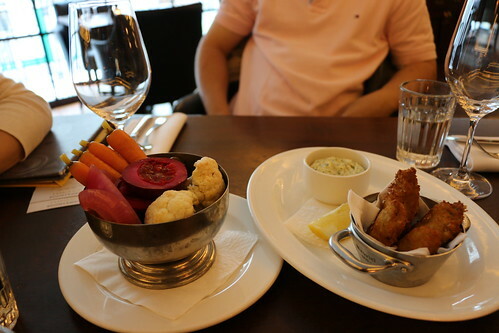 For starters, we ordered fried oysters and seasonal pickles. 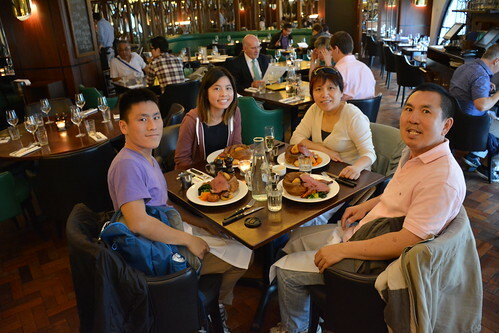 First time at this restaurant, I thought we would get a couple of oysters…turned out that one order of fried oysters had three and to add an extra oyster costed £2.50 (our waiter saw that we had four people and one order only came with three, so he recommended to add an extra). Sunday roast. I finally can tell the whole world how good you taste. I swear to all Sunday roasts, it tastes like home. For my family, we usually have roast beef on the special occasions; Christmas, birthday’s, Thanksgiving, etc. And too add, the potatoes, carrots, onions, greens were the perfect match. Yorkshire pudding. I love you so much. It’s crispy flakes when bitten into, I can taste it as I describe all the flavours of the dish. 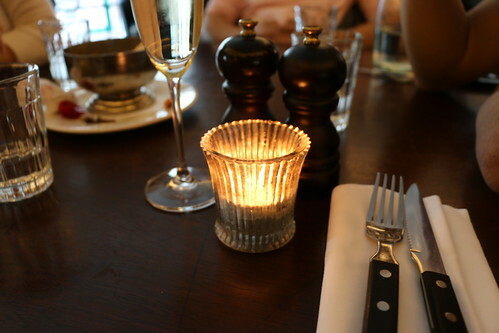 If I get a chance to re-visit London again, I would definitely go to Hawksmoor. Maybe a different location, to experience the different atmospheres. Have you been reading my London blog posts? Click here and here for previous posts.